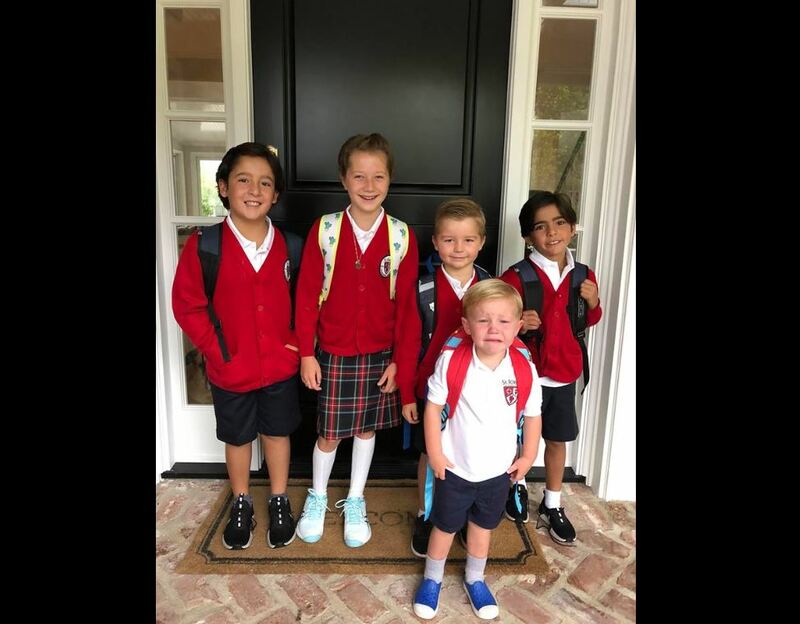 The wife of star skier Bode Miller posted some heart-wrenching photos this week of her kids going back to school without their 19-month-old sister, Emeline. Back in June, the toddler drowned in a tragic accident after walking out the back door of a neighbor’s house and falling into a pool. In one of the images posted by Morgan Miller, her young son Nash can be seen weeping at the fact his baby sister is not with them. “Yesterday was the first day of school for our kids. It’s a day we always look forward to with excitement. But all I can see is Nash’s face and the giant hole that was created between last year’s picture and this year’s picture. I can imagine that’s what my face looked like, too, stepping back into our routine without our daughter. I imagine daily how different my life would be today had I had 30 more seconds,” the professional volleyball player wrote on Instagram. She also sought to bring awareness to the risk of accidental drowning, and the particular danger posed by backyard pools, asking parents to print out an information flyer and publicize the message of drowning prevention. In a recent appearance on “Today,” Miller highlighted the shocking fact that it can take no longer than 30 seconds for a child to drown. “And the moment those 30 seconds is up, the likelihood of you getting your child back is pretty close to zero,” she said. Then, without warning, this beautiful summer day turned into an utter nightmare. Miller was horrified when she noticed that the back door had been left open. “My heart sank and I opened the door and she was floating in the pool. And I ran and jumped in,” she explained. Despite lifting the little girl out of the pool and performing CPR, it was too late. Little Emeline was gone. A horrific accident, a momentary lapse in concentration and a tragedy that could have been prevented. However, these types of incidents occur much more frequently than one might imagine. Staggeringly, drowning is the leading cause of unintentional death in children aged 1 to 4. But in the wake of their daughter’s untimely death, Bode and Morgan Miller are doing everything in their power to change this. “We are inspired to make our baby girls memory go forth and help prevent as many drownings as possible,” he posted on Instagram following Emeline’s death. Please pray for this family as they continue to mourn the loss of their baby girl and spare other families the same heartache.